The Racing Amendment Bill, better known as the ‘race fields’ legislation was withdrawn from Parliament on Thursday. 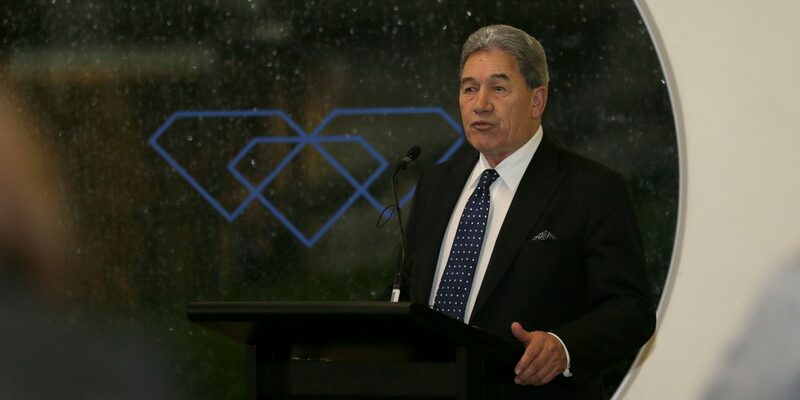 Racing Minister Winston Peters confirmed the move when speaking at the annual New Zealand Harness Racing Conference, being held in Auckland, on Friday. “The Bill before parliament was withdrawn yesterday,” he said in response to a question on its progress. “The Bill wasn’t fit for type; it wasn’t going to address the real issues the racing industry needs addressing. “It was looking at one small aspect of it and we decided we need a complex piece of legislation as fast as possible. The Bill, that sought to make numerous amendments to the Racing Act 2003 designed to improve the competitiveness of the New Zealand Racing Board’s betting operations, had been sitting in front of the Parliamentary Select Committee for a number of months. The move wouldn’t have come as any great surprise to harness racing administrators as Peters has already strongly alluded to the move in discussions when unveiling the Messara Report in Hamilton on August 30. But the New Zealand Racing Board’s CEO John Allen, who was present at the meeting, seemed blindsided by the news. “I didn’t know that before (Peters) said it,” said Allen in response to a question from the floor asking if Peters’ revelation was true. “It is a surprise and a disappointment. “We’ve been waiting now for a year for that. That legislation has been in front of Parliament for that period of time. “And while I understood the minister’s enthusiasm to do a whole lot of other things, I simply can’t understand why that legislation hasn’t progressed to being passed and put in place. “It would benefit us by about a million dollars a month. Allen had just spoken passionately, almost defiantly, in defense of the Racing Board’s direction after Peters had previously criticised the Board’s results on August 30. 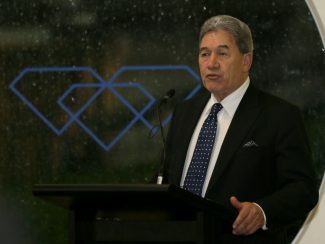 National’s racing spokesman, Ian McKelvie, issued a statement later in the afternoon chastising Peters for the ‘race fields’ move and saying his Party was disappointed. “The Racing Amendment Bill took several years to develop and involved extensive consultation with the whole racing industry. “The Bill had the support of the whole industry and was set to provide a multi-million dollar injection into the racing and sporting codes, which would have flowed through to race stakes. “The Bill would have enabled the industry to receive approximately $1 million per month in extra revenue. “This extra revenue has already been delayed since late last year as the Minister initially postponed the Bill. Peters, Allen, NZRB Chairperson Glenda Hughes and Harness Racing New Zealand Chairman Ken Spicer were among those to speak to delegates from 44 clubs and associations from throughout the country. Outgoing HRNZ CEO Edward Rennell also joined Spicer, Allen and NZRB harness code nominee Rod Croon answering questions from the floor on numerous subjects primarily the contents and permutations of the Messara Report.